Welcome to Stone Ridge Golf Club! Aerification Schedule - In continuation with the improvements of the golf course, we will aerify the green on April 22nd and 23rd - we will have 9 holes open each day. 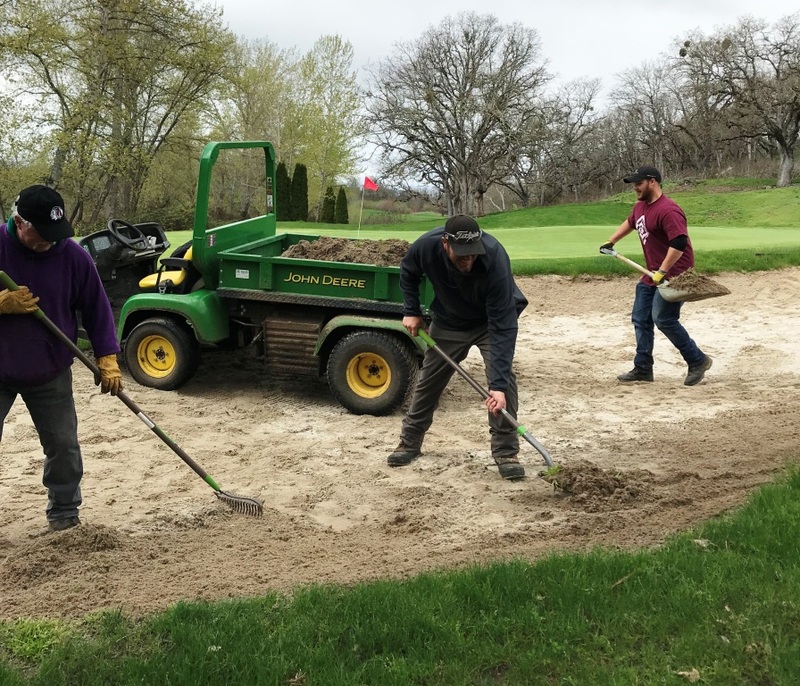 Staff Improving Bunkers - Changes are coming! Become a Stone Ridge Golf Club Insider! Get the latest news and specials from Stone Ridge Golf Club. Don't miss out!